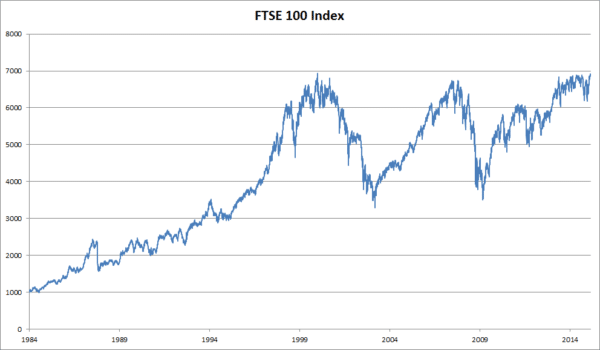 Home > Economics help blog > economics > How do share prices affect firms? How do share prices affect firms? Readers Question: From: How Does the Stock Market Affect the Economy I want to know the basic principle behind the working of share market? What is the profit, company is getting from shares? Does the downfall in share price affect the overall performance of the company? Companies list shares on the stock market as a means to raise revenue. The firm sells shares in the company. They receive money that they can use to invest. Selling shares in the company can be a cheaper way of borrowing money than getting a loan from the bank. For example, Eurotunnel raised much of the investment needed to build the Channel Tunnel through issuing shares in the company. A firm may decide to issue more shares if it needs to raise revenue, though if it issues more than 50% of the company the original owners could lose control and be taken over. A dividend. This dividend is decided by the company; it is like receiving a share of the companies profit. The potential for growth in share price. If the company does well, then demand for shares will rise, this means shareholders can sell at a later time. If there is a fall in general share prices (e.g. fall in FTSE-100), then the company will not worry too much. The stock market is quite volatile, rise and falls in the share prices won’t affect its overall business directly. However, if there is a sustained fall in share prices, it may deter the firm from issuing more shares to raise revenue. For example, in the current climate of stock market volatility, companies wouldn’t have much confidence in issuing more shares as they would get a low return. A large fall in share prices could cause wider economic problems. For example, the stock market crash of 1929 was one factor in precipitating the Great Depression. However, sometimes stock market falls, e.g. 1987 crash, had no adverse impact on the wider economy and general sales. Shares fell from 1999 to 2004 – as the dot-com bubble burst. However, this was a period of positive economic growth and firms continued to invest – showing the link between the stock market and real firms is not always strong. The second big bear market was 2008/09 when the credit crunch and recession caused a major contraction in the value of shares. But, here it is the stock market responding to financial losses and recession rather than stock market leading the economy. A firm may see a sharp fall in share price relative to other firms (rest of the stock market). This will occur if investors are not optimistic about the prospect of firm to make profit and pay good dividend. e.g. if firm makes a large loss it won’t be able to pay a dividend to shareholders and this makes the share less attractive. This fall in the share price could make the firm vulnerable to a take over. This would lead to a change in ownership. The new management may decide to alter the method of managing the firm. They could sell off unprofitable parts of the business and radically change things. This was a fall in share prices which really affected firms in a bad way. Shares fell so much, consumers lost wealth, there was a run on the banks and it led to Great Depression. Other factors caused Great Depression in addition to falling share prices, but it showed its symbolic effect on consumer confidence and economy. ← What effect do interest rates have on wages?